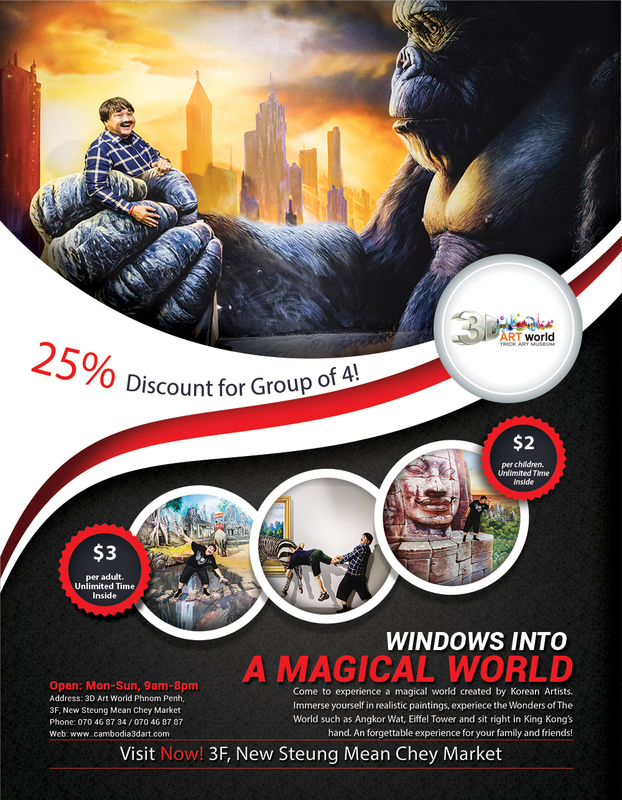 Opened in January 2016, 3D Art World Phnom Penh is the largest trick art museum in Cambodia. There are over 70 paintings hand-drawn by Korean artists onsite. 3D Art World is located on 3rd Floor of New Steung Mean Chey Market, Phnom Penh. It cover over 2000sqm, giving guests plenty of space to explore the attractions and paintings.